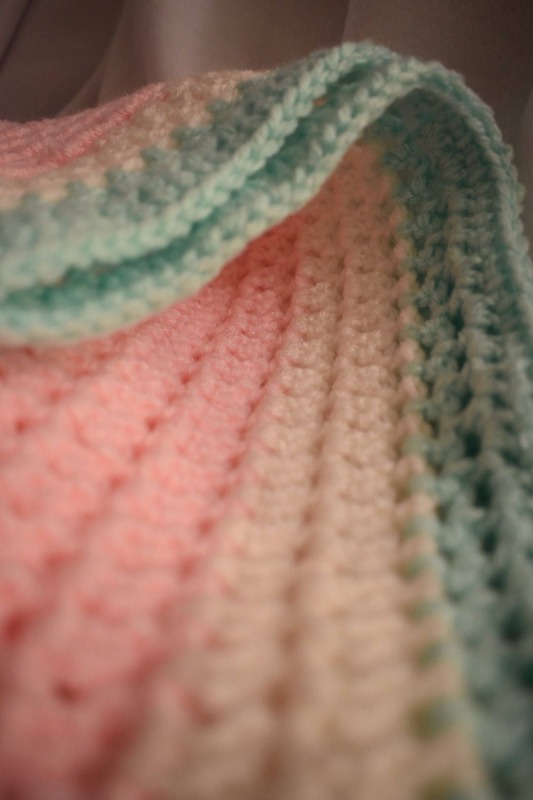 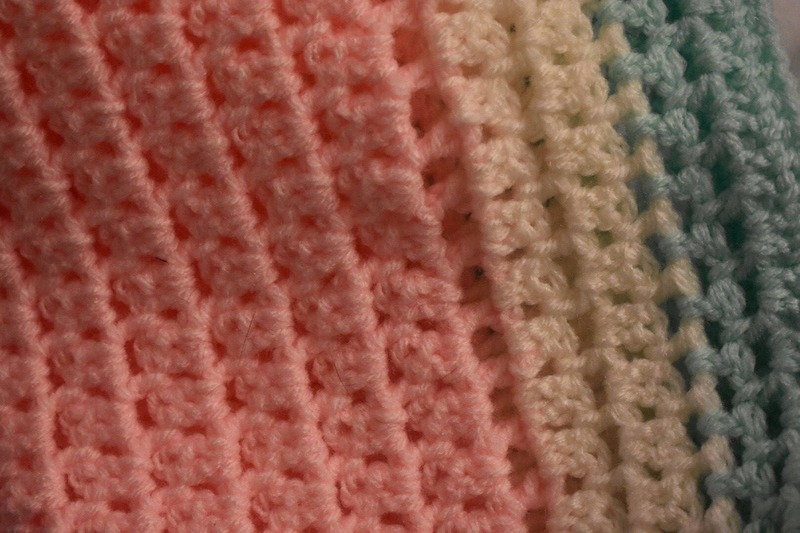 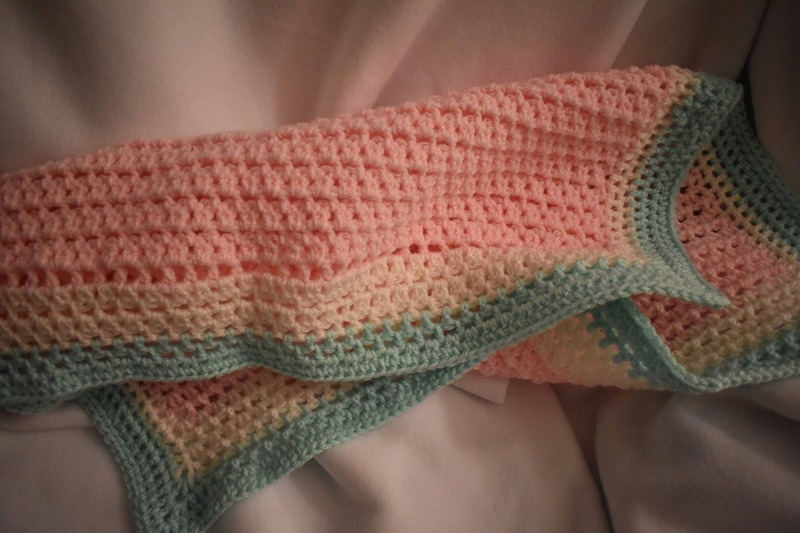 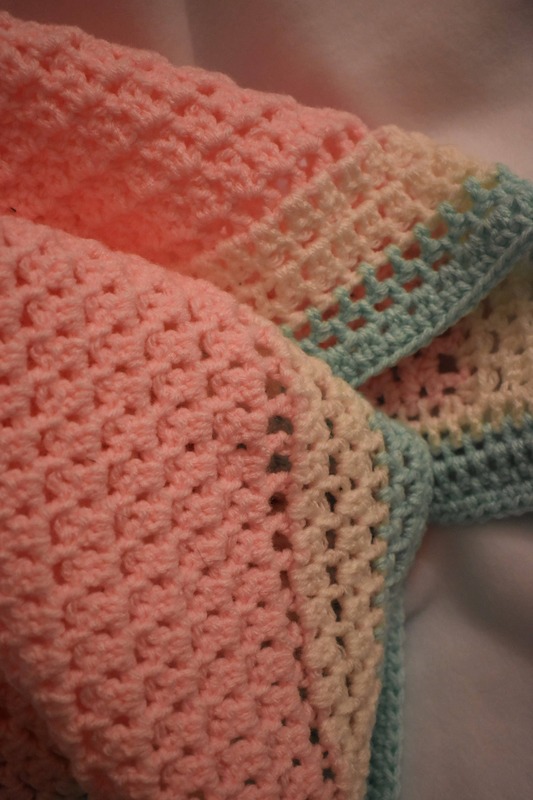 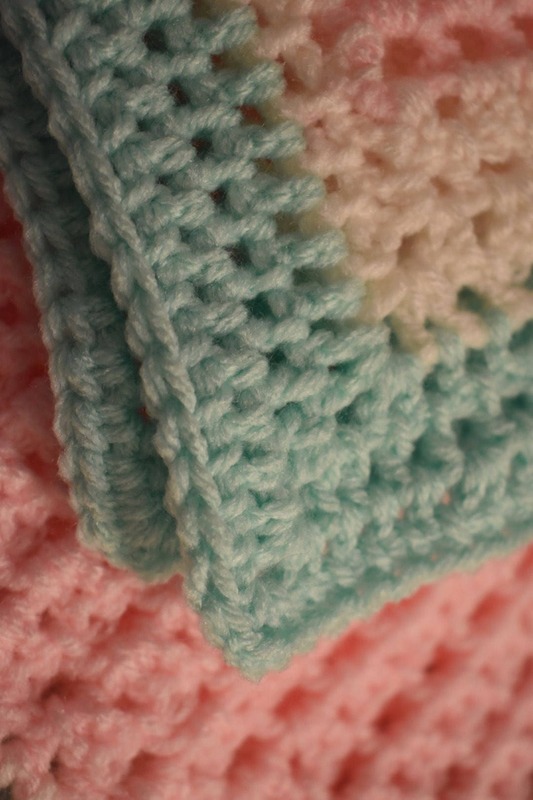 This crochet baby blanket is ideal for nap time in bed or on the couch, or to keep baby comfy cozy in strollers or car seats. 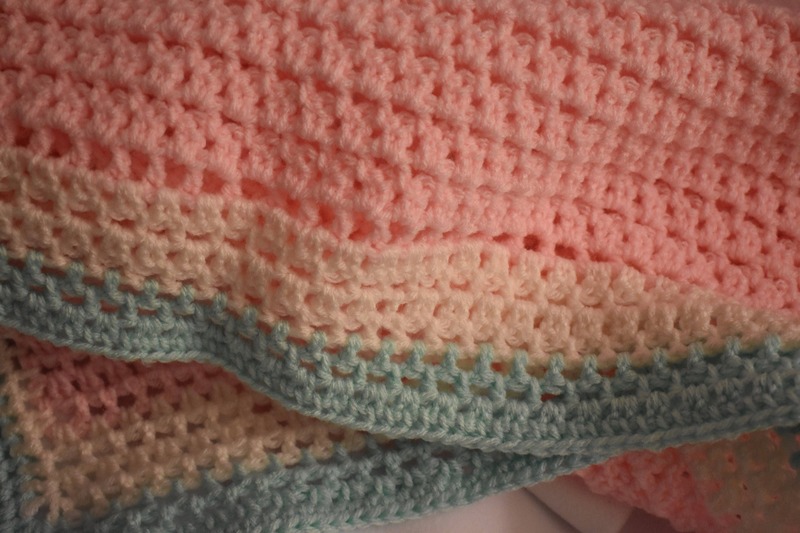 This blanket is machine washable and durable. 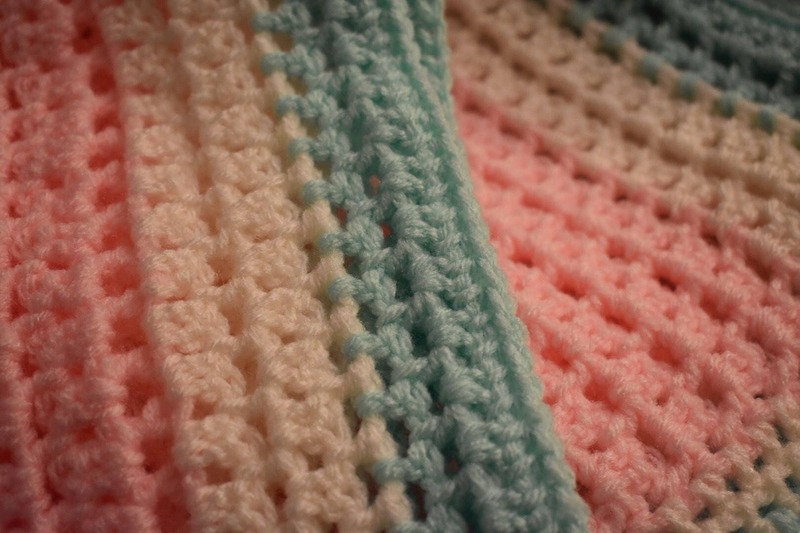 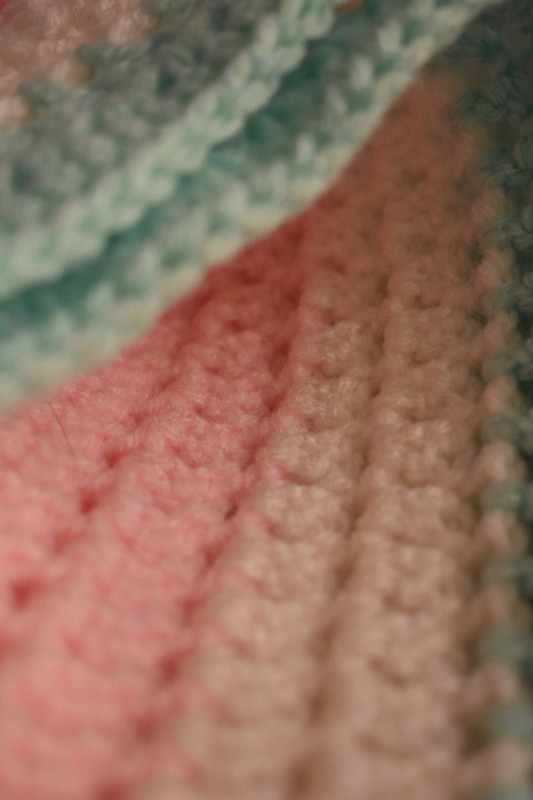 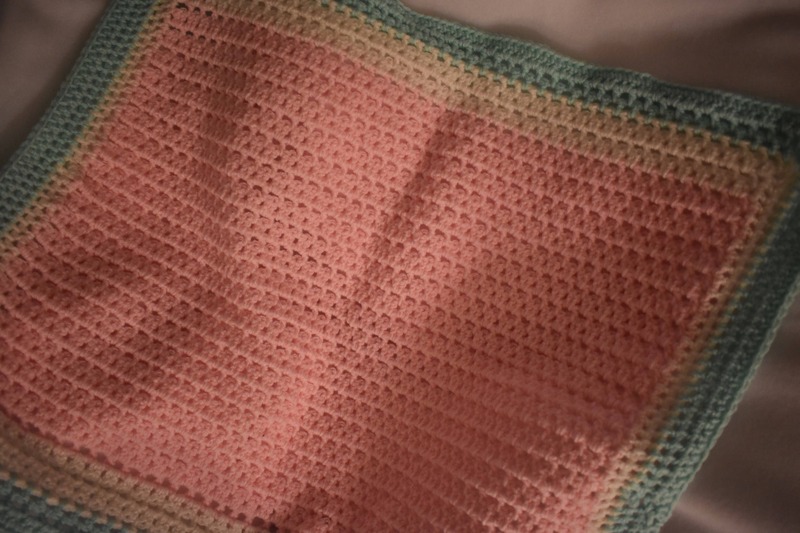 This baby blanket measures about 26 inches by 22 inches and will likely stretch with use, wash, and wear.